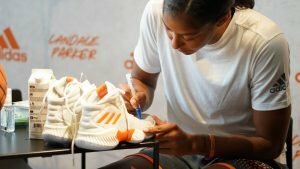 Candace Parker signs a pair of her new performance shoes for a fan. Photo courtesy of Adidas. 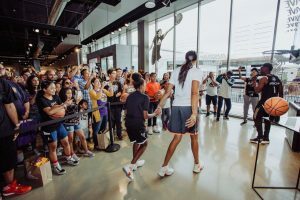 Los Angeles Sparks All-Star forward Candace Parker unveiled her new Adidas Player Edition shoe Saturday by hosting a fan event that featured a training workshop and a question-and-answer session. 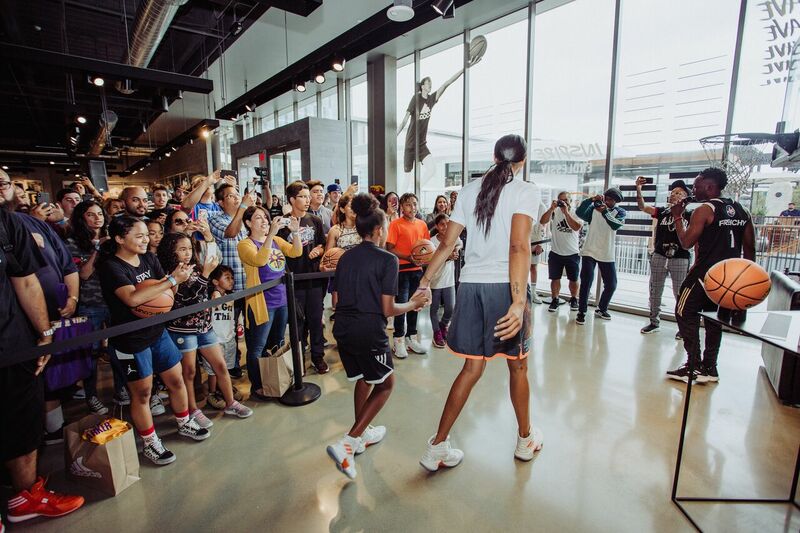 Around 135 people were on hand at the Century City Adidas store for the rollout of the Candace Parker Exclusive Pro Bounce basketball shoe. 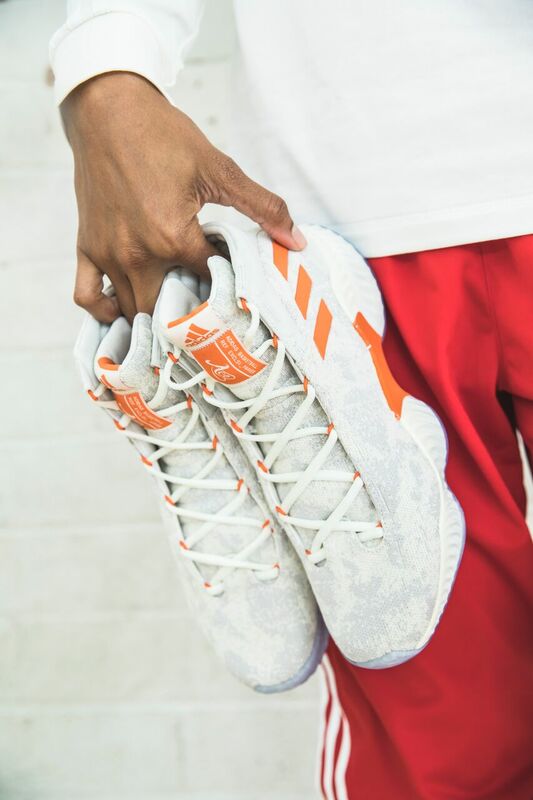 It is the third Adidas performance edition shoe for the two-time WNBA MVP, and features an orange and white colorway to pay tribute to Parker’s late coach at Tennessee, Pat Summitt. “Left foot, right foot, breathe,” was Parker’s favorite motto of Summitt’s, and is the motto of the new shoe. Parker said the words have been a guiding light. 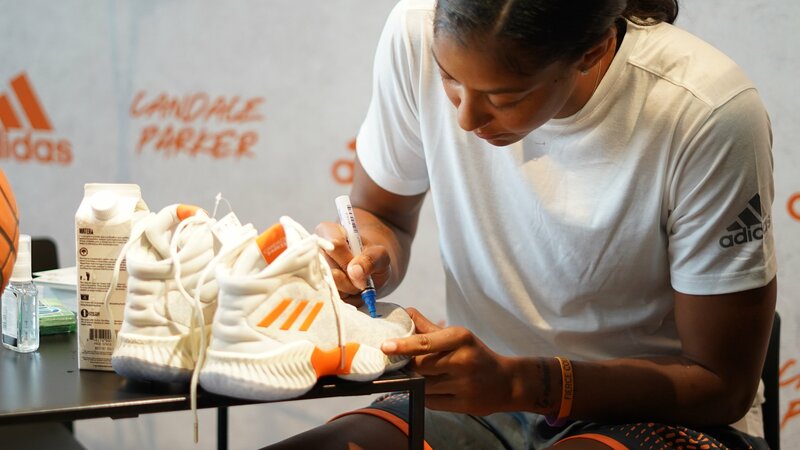 This is the third player edition shoe Adidas has released under Candace Parker’s name. Photo courtesy of Adidas. 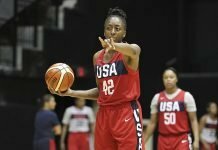 Parker began the event by leading a workshop in which she discussed and showcased her training routine, with skill and drill demonstrations. 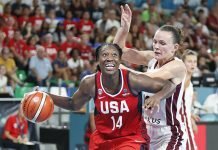 She then answered questions about her playing career and her lifelong “position-less” basketball approach. Youth and their parents then wrote down inspirational messages to their past or future selves, which were posted on the store windows. The shoe has flexible cushioning and features a premium mesh upper side for lightweight stability on the court. A marbled outsole is finished with graphics specific to Parker. Candace Parker and daughter Lailaa greet the crowd that has showed up for the unveiling of her new shoe. Photo courtesy of Adidas. She said it meant a lot to her to bring nine-year-old daughter Lailaa to the event. 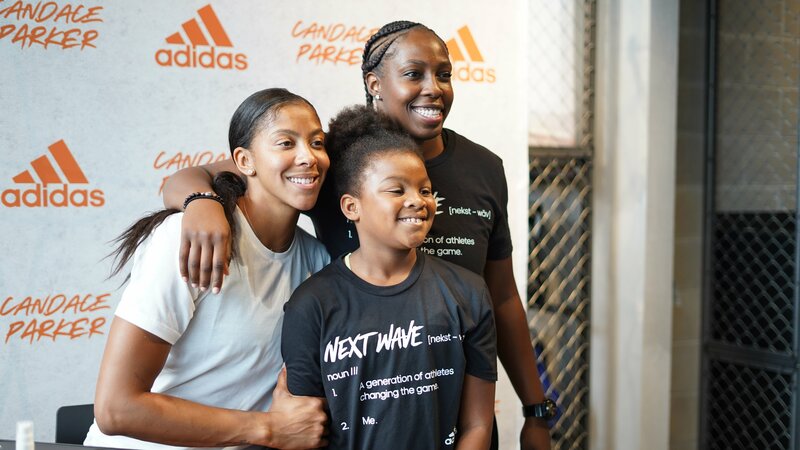 Candace Parker and daughter Lailaa pose with Sparks point guard Chelsea Gray. Photo courtesy of Adidas.